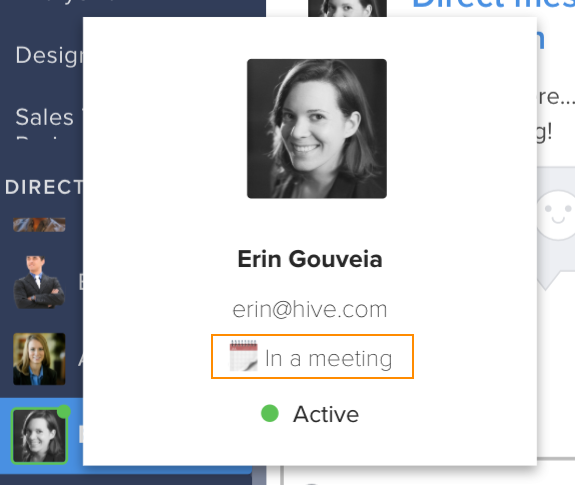 Whether your in a meeting or out on vacation, you can let everyone in your workspace know by just setting your status in Hive. You can even add emojis! That way no one is surprised when you take a while to respond to a message or (even better) they know not to disturb you when you're away. To check someone's status, just hover over their profile.